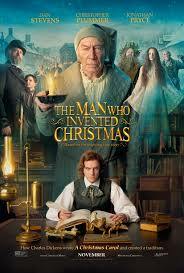 Review: Tells the magical story that led to the creation of the novel ‘A Christmas Carol’. As good as Dan Stevens is I did find him rather miscast in this. I didn’t think he was right for the role and felt a much older actor would have been more suitable. It is always a pleasure to see Simon Callow and I felt that the screen lit up once he was on. Great to see Christopher Plummer playing Scrooge. I could see that he enjoyed playing that part he was given. Fantastic cast list but for me the whole film just didn’t work. There wasn’t one bit where I got excited or interested in the story. I did find that it would work better as a mini TV series rather than an 1hr 44min film.